They’ve helped you read. Now help them save the world. 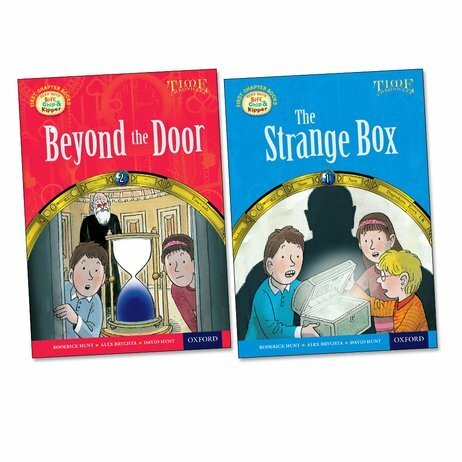 Time-travel mysteries full of fantasy, magic and danger. We bet you’ve grown a bit since you last hung out with Biff, Chip and Kipper. Well – so have they. And that means bigger adventures! Your Oxford friends are older now, and their true destiny is about to be revealed. How? In thrilling chapter books from this new series. It all starts when the three friends find an old box in Chip’s bedroom. A box which catapults them through a magical doorway. Can they save the world from the evil Virans using an ancient time machine?